Comparative analysist for rade policies or commercial policies made in a country can be called as set of rules & regulations formed in order to regulate the flow of international trade involved into several goods & services. The major aim of the trade policies developed in a country is to restrict the amount of imports being made so as to develop a balance between the trade deficit & surplus leading to the net trade balance for that country. 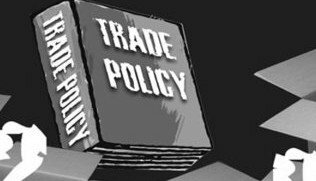 Trade policies developed can be related to different aspects such as regulating the quantity for particular good or application & removal for the particular trade tariffs. Based on the geographical boundaries of a country there are different types of trade links with the other nations such as unilateral, bilateral or multilateral liberalization. According to the trade union reforms and demand for the trade relations with particular country & for strategic action free trade areas, free economic market and custom unions are being established. Some of the major objectives with which trade policies or commercial policies of a country are established include enhancing trade relations with other nations, to safeguard domestic markets in that nation, to expand export for the products produced in the country to help growing the domestic markets and to restrict the import for goods & services so that unfavorable balance of payments can be avoided. With these objective trade policies in a country are formed which helps in meeting the objectives and enhancing trade relations with other nations. The aim of present paper is to explore difference in trade policies for the developed and developing nations. Among the developing nations India has been selected in order to view the various trade rules formed and these rules & regulations prevailing in India would be compared with United States of America in order to observe differences which two countries have among their trade policies which impact the trade relations. Present section of the report would explore the comparative analysis of trade policies being adopted in the two countries i.e. India and USA. There are multiple facets on which trade policies for the two countries can be compare to know the regulations being followed in the two countries pertaining to the trade relations and impact which these trade policies have on the international trade relations and support which these trade policies create for the domestic markets. Inter industry trade involves the exchange of different industry goods among the two countries for example exchange of agriculture products against the information technology while intra industry trade involves exchange of similar products between two countries pertaining to the same industry (Krugman & Obstfeld, 1991). Example of intra industry trade includes beverages, automobiles and food stuffs etc. Among the inter industry trade US imports food products and mineral ores against the technology exported to these countries as United States has its in house developed technology so as to produce the technological products. While India being a developing country the major focus of the inter industry trade policy is to supply the food products which are produced in country in abundance and to import technological innovation and petroleum products from other countries as India does not have much developed in house technology (Shelburne & Gonzales, 2004). Considering intra industry trade for a field such as automobile US import small parts which are manufactured into developing countries having cost efficiencies while technology on which automobile industry is based is being exported to the developing and undeveloped countries from US. Hence analyzing in broader sense it can be said that US import material which does not demand for high technicalities but contains cost efficiencies while export is done for the goods which are technically sound. Internal economies of scale in context of a country are the internal factor which provides competitive advantage to the country against other competing nations. In the present context internal economies of scale possessed by United States includes technical economies of scale and financial economies of scale. United State being one of the most developed countries has efficient production facilities which are equipped with the latest technology and provides efficient production for the country while United States is also having high cash piles which give them financial economies of scale (Sullivan & Steven, 2003). These two economies of scale help United States to achieve competitive advantage against the developed and developing countries which can’t be imitated easily by these nations. Internal economies of scale possessed by India is Monopsony as India being such a big country buy in bulk which would reduce per unit cost for the goods & services availed. External economies of scale arise for a country due to its size, market reputation and location advantage and owes to the external market factors not controlled by the country. For United States external economies of scales prevails as the US has good hold on the other developed and developing economies due to status of power nation (Rosenberg, 2002). India has external economies of scale due to its high population which contain large number of skilled manpower which gives them access to the low cost production facility which can’t be imitated by other countries. Monopolistic competition can be defined as the market status where in single seller prevails in the market to supply the particular goods or services. In such scenario prices & terms of purchase would be decided by that supplier as that is the only source for particular goods or service. America being the home for technology into production, communication, medical and so many enabling disciplines has established its monopoly into market where in there are no alternatives for such technologies being developed by America (Stigler, 2008). For such products & services prices and other terms are being regulated by America and it takes big advantage for monopolistic situation prevailing in the market. Indian markets can be considered as the ideal case of the oligopolistic markets where in goods & services being produced in India are also provided by many suppliers prevailing in the market due to which India does not have monopolistic situation in the market. In most of the goods categories which are exported from India either oligopolistic or perfect competition market scenario exists. Hence it can be found out that at one side developed countries such as US has established its monopoly in the market based on the technical economies of scale or for the access of financial resource while at other side developing countries such as India and China are prevailing in the perfect competitive markets (Guy, 2008). Dumping can be defined as the unfair trade practice where in exporter produces and sells the goods at price which is below the normally market price prevailing for the particular good or service. Dumping process for the trade practice not only dump cheap & low prices products bit also causes problems for the domestic industry as the prices for the products imported are much lower as compared to the normal market prices prevailing which would impact the domestic industry (Chernow, 2009). For United States there is strict adherence to the antidumping policy made where in only good quality and fairly priced products are being imported in the country and exporters with very low market prices are being restricted to freely trade in US. There is anti dumping duty being imposed on the goods & services supplied by the exporters with very low prices so that domestic markets are not being impacted due to the dumping process in US. This not only helps in maintaining the good quality products being prevailing in the market but also maintain fair equilibrium in the market research by safeguarding the domestic markets against the low priced goods & services being provided by the exporters. India does not have effective dumping policy in place due to which exporters with lower cost dump their cheap & low cost products into the markets leading adverse impact on the domestic production (Eggert, 2003). Major impact of the dumping process is on the technological goods & services as India is not very sound in the technical field due to which cost effective producers with low quality products dump heavily in India. International labor mobility defines the mobility of the workforce among the geographical locations or occupations between the several countries. The major reason for the international labor mobility is the difference in resources possessed by the two countries due to which mobility gets impacted. In United States there are several regulations which prevails in order to curb the high mobility and to provide maximum opportunities to the local workforce such as minimum wages law, absence of right to work, binding ties to a geographic location and government regulations to the industry such as license (Krugman, 2009). All these efforts & policies laid down by United States helps in order to maintain the adequate number of workers so that at any point of time there are no excess numbers of workforces or lack of workforce in order to handle the jobs being available in United States. Looking into Indian context for the international labor mobility there are several barriers which does not allow workers to become mobile includes high availability of the workers in local region, differences in qualification at regional level and lack of standards for vocations skills which does not qualifies the unskilled labors in order to do the job at some other part of the country (Bennett, 1995). Due to the lower mobility for workforce in India there is adequate availability of manpower in order to carry out the cost effective production in various sectors. United States despites of its efforts in order to reduce the workforce mobility sometimes faces the crunch for skilled and unskilled labors due to which cost of productions shots up as highly paid manpower is being employed by the producers. This not only impacts the cost of production but also gives instability for the production facility as irregularity in availability of the workforce can cause serious problems at times. Tariffs and custom duty is being imposed on the import/export of the goods in order to carry out smooth transaction of goods & services from one place to another. United States also imposed tariff and duties on import of goods & services from other countries while goods from many countries have been exempted from any kind of tariff or custom duty due to favorable trade relations (Salvatore, 2005). Further several goods are being exempted from the import duty or custom duty regardless of the source from where these goods have been procured due to the reason of higher demand or lower supply for such goods & services domestically. As per the latest schedules for import duty and custom duty being imposed in United States 0 to 20% of the real value of the product is being charged from the importer based on the classification of the good into particular product segment. United States also apply the custom tariff which is among the lowest in the world at average of 3%. Indian tariff and custom duties are considered to be on higher sides which are being regulated by the government due to increasing balance of payments due to increasing imports as compared to the total exports in the country. Custom duty applicable in India ranges from 0% to 30% based on the different product categories where in many products are being categorized into the upper bracket of custom duty in order to reduce the overall imports for the goods and services (Taussig, 2011). Some of the major technological goods at which higher custom duty is being charged in India include laptop batteries (28.85%), Phone accessories (28.85%), CD/DVDs (28.85%) and iPods (28.85%). Analyzing the situation from the developed and developing countries perspective it can be found out that developing countries are imposing high custom duty in order to reduce their imports so that their balance of payments can be maintained at suitable level while developed countries encourage lower custom duty in order to allow free trade and better products & services in their country. Trade policies in India have been developed in order to encourage free trade zones and fair trade practices being followed in India. But with the increasing negative balance of payments in India in recent time due to heavy import for the technology and defense goods the trade policies are such to restrict the movement of goods in India. Trade policies in India try to promote the domestic sector so that Indian consumers make use of the domestic goods against the imported goods and a balance can be struck in balance of payments. Further Indian trade policies encourage import for the necessary goods & services such as the petroleum products, defense items and technology which needs to be compulsorily imported (Watts, 1990). Further higher import duties have been imposed on the goods which can be in house produced so as to reduce imports taking place in the country. Unlike Indian trade policies, trade practice in US are quite different where in major focus is to develop fair trade relations with other countries and to make the markets highly competitive by reducing import tariffs so that consumers can get benefits of the perfectly competitive markets. Further trade policies in US are such that it allows import for the goods which demand and supply technicality and higher manual efforts while United States export the goods which are having sound technology for which premium prices can be charged due to monopoly of US in international markets. Import substitution and export oriented approach is the major focus for the developing as well as developed countries in present economic scenario not only to reduce the negative balance of payments but also to reduce heavy reliance of the countries on exporters (Phillips, 2007). Except the exporters for the natural resources such as petroleum and related products countries are emphasizing to promote domestic production facilities in order to cater entire national as well as export production. For United States there is not much requirement for the import substitution as there is very low dependence on the other countries in order to supply the necessary goods as most of the products are being developed in house and production facilities are so efficient that export is being made from United States to other countries. Unlike United States at present India has the major agenda for import substitution and export oriented approach not only to reduce high balance of payments but to reduce their reliance on the developed nations in order to supply the goods of necessity. For developing the in house capability India has developed the technical production facility which is capable to produce the goods with high production capacity and cost efficiencies. The controversies associated with the trade policies for developed and developing countries highlights the different areas where in developed countries such as US has controversy associated with the high technology especially with the silicon chip. While for the developing country such as India the major controversy which aroused was related with the workers in developing economies. As per the free trade regime for the world trade organization several countries have signed the agreement and became a part of the free trade zone where in no free trade between the countries would be promoted so as to reduce trade barriers among the countries. Winners in the free trade agreement are those countries which have developed the trade policies supporting free trade and support for the domestic industry in their country while countries which were not able to cope up with the changes required for free trade agreement tries to restrict the free trade in order to promote their domestic industries (Bolle, 2007). Developed countries are considered to be the winners into free trade agreement where in they get access to the different countries in order to sell their products while they have superior technology in their country and developing countries would not be able to compete against their product offerings and considered as looser. Present paper outlines the trade policies as regulations which track the trade relations and exchange of goods between two countries. In present paper comparative analysis has been made for the two different nations i.e. developing (India) and developed (US) in terms of their trade policies and impact which these trade policies have on these countries. Trade policies developed by a country would be different based on the nature of country such as developed, developing or undeveloped as focus area for the trade would be different for the countries. 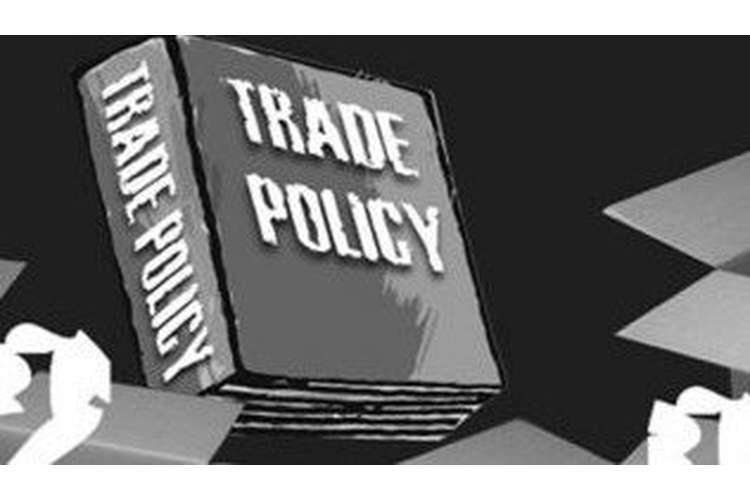 In present paper with the help of nine basic elements of the trade policies in any nation comparison has been made between the developed and developing nation in order to find out regulations which are prevailing in the two different nations and way these regulations impact the two countries. Inter industry and intra industry trade for the developed and developing nations differs as developed economies would tend to buy basic goods which are not available. Economies of scale would be present with the developed countries such as financial resources and technicalities. Developed countries would be operating under monopolistic situations and would be having strict compliance to dumping policies. Further there would be high workforce mobility, tariffs would be such to allow international trade, there would not be requirement for import substitution and controversies would be related with the technology. Overall developed countries would be having better policies and free trade agreement wherein no major restrictions would be made on the import of goods as there would be balance of payments arising from equal amount of export and imports. Krugman, P; Obstfeld, M (1991). International Economics: Theory and Policy (Second ed.). New York: Harper Collins. ISBN 0-673-52151-6. Sullivan, A; Steven M. (2003). Economics: Principles in Action. Upper Saddle River, NJ: Pearson Prentice Hall. p. 157. ISBN 0-13-063085-3. Stigler, J. (2008). "Monopoly". In David R. Henderson (ed.). Concise Encyclopedia of Economics (2nd ed.). Indianapolis: Library of Economics and Liberty. ISBN 978-0865976658. OCLC 237794267. Chernow, R., 2009, Titan: the life of John D. Rockefeller, Sr.
Eggert, J., 2003, "Observations of the EU Anti-Dumping Regulation FTA Position for the Expert Meeting"